More and more people are looking for ways to simplify their kitchen, reducing the number of appliances and tools that clutter it up. One of the ways to do that is through the Instant Pot. This kitchen appliance has gained a lot of positive attention across the world, with some people even calling it “life changing”. Essentially, it is a device that cooks, slow cooks, pressure cooks, sautes, and more. It is a multi-cooker, but one like no other. So just what makes the Instant Pot so popular? It is highly convenient, with 12 functions for common tasks in the kitchen. It can delay cooking for as much as 24 hours, for instance, if you want to make a marinade, and it helps to reduce overall cooking time by as much as 70%. It enables people to cook tasty, nutritious, and healthy meals with fresh, wholesome ingredients for the entire family to enjoy. It is very clean, quiet, and easy to use. There is no excessive heat, and there will be no spills, no smell, no steam, and no noise. Plus, because it has so many functions, kitchens become decluttered as well. Because it reduces cooking time by as much as 70%, it also saves 70% of energy. This means it is also a lot more environmentally friendly. It is fully dependable and safe as well, having obtained UL/ULC certification and an additional 10 safety protections. It is Bluetooth Smart compliant, which means it can connect to smartphones and tablets. This makes it easy to use the control and monitoring interfaces to see the progress of the cooking process, in graphics. It is also possible to expand and upgrade the functionalities of the device, writing cooking procedures and sharing them with friends. It comes with an iOS app (the Android app is being developed), which has lots of recipes included in it. It is multifunctional and can be programmed to the needs of the user and the recipe. It has 10 proven safety features, and has received ULC and UL certification. It comes with 14 different microprocessor-controlled programs for meats, stews, soups, chilis, bean dishes, poultry, steaming, saute, porridge, rice, slow cooking, multigrain, yogurt, keep warm, and fermented and pasteurized rice. It has dual pressure settings for flexible and fast cooking. Delicate food doesn't get overcooked thanks to the low pressure, and cooking time is reduced by 70%. This also makes it far more energy efficient. The yogurt making function can ferment and pasteurize the milk by heating it. The cooking pot can hold as much as five liters of milk. It has three adjustable modes on virtually all its functions, as well as three temperatures for saute, three temperatures for slow cooking, and three temperatures for the keep warm function. The slow cooker can be set for times ranging from half an hour to 20 hours. It has a delay cooking timer, which allows cooking to be delayed by as much as 24 hours. 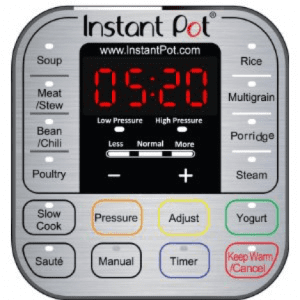 The Instant Pot is fitted with a manual pressure setting, which allows for up to two hours cooking time. It has an automatic keep warm setting that can be set for up to 10 hours. The manual keep warm setting can last up to 99 hours and 50 minutes. It is fitted with a three ply bottom and stainless steel cooking put (Food Grade 304 (18/8)), which is highly resistant and durable. 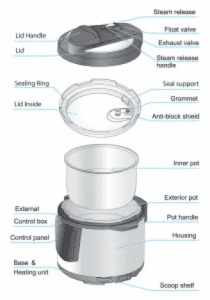 The brushed stainless steel exterior of the pot is fingerprint resistant. The low profile steam rack is also stainless steel and comes with handles to allow for easy and safe lifting in and out of the pot. It comes with a range of accessories, including a measuring cup, soup spoon, rice paddle, condensation collector, and silicone mini mitts. The Lux series are all six in one cookers, as they do not have the yogurt maker. The Duo series and the Smart model are all seven in one. Meanwhile, the Duo Plus is a nine in one cooker, and the Ultra is 10 in one. The Ultra, which is clearly the most advanced of all, also has 11 safety mechanisms, compared to the 10 the other models have. Meanwhile, the Lux series have 10 smart built in programs, the Duo series and Duo Plus have 14, and the Ultra and the Smart have 16. The Instant Pot website, meanwhile, has a wealth of recipes listed on it that can be followed in any of the models. There are also explanations on the history of multi-cooking, its benefits, and more. 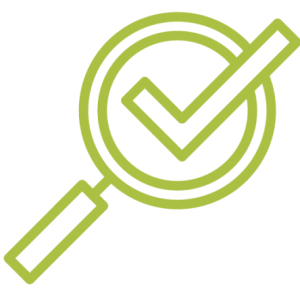 The website also has an extensive support and FAQ section for troubleshooting. It is a multiple use cooker, which means you have a range of useful kitchen tools in one, saving on space. The interior is completely made from stainless steel, which is quite rare in electric multicookers. The only part that touches the food, therefore, is stainless steel. Some of the exterior is made from materials like plastics, but since they do not get in contact with the food at all, there is no need to worry about that. Furthermore, it eliminates the need for a non-stick surface, such as Teflon. It is a multi-use device that replaces the steamer, saute pan, rice cooker, slow cooker, and more. Some people have reported that they use the Instant Pot for so many different things, that their oven and stove have become almost obsolete. It replaces the slow cooker, with only few people still needing their crock pot as well. 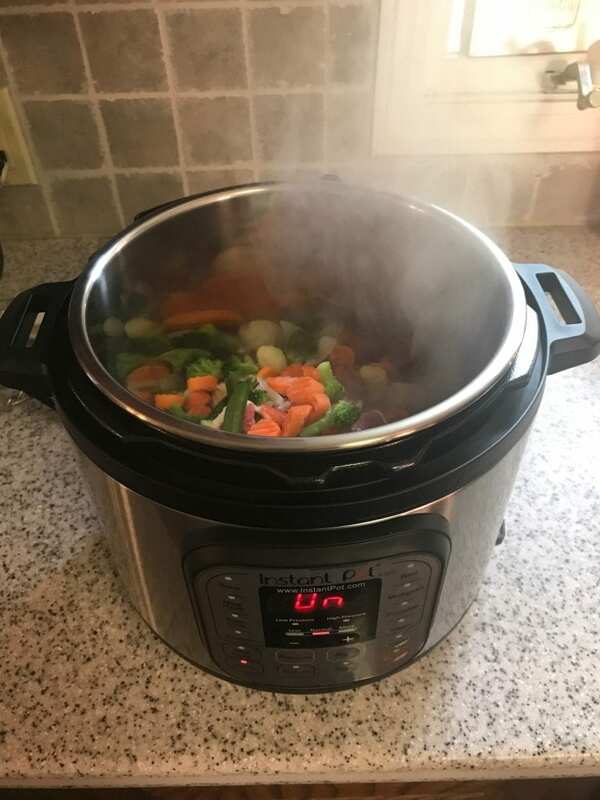 This is not only because the Instant Pot comes with a slow cooker setting, but also because it cooks much better than any other slow cooker. Furthermore, it is also an electric pressure cooker, which means it can do everything at once. It is a fantastic space saver and particularly suitable for people with smaller kitchens. It saves a lot of time, which is perhaps one of the biggest benefits of all. A recipe that would take between six and eight hours in a slow cooker, takes just around an hour in the Instant Pot. It has even been reported that some people can cook an entire roast dinner in just 40 minutes or less. This is perfect for those who need to quickly prepare a meal for the family, for instance. The price is quite decent. It is, obviously, more expensive than a single-use appliance, but since it can do seven things at once, it comes out as cheaper overall. Additionally, there are regular discounts and sales on, so you could grab yourself a bargain. It is fully programmable, which is another great advantage. Because it cooks so rapidly, it is easier than ever to have everything ready to go in the pot and just switch it on an hour before eating. It can even be set 24 hours in advance, with lots of preprogrammed options to choose from as well. The energy efficiency is also very important. It is an electric cooker, which means you don't need to use gas or a stove. It is fully self-regulated, which makes it easier and safer to use. Mainly, it cooks so quickly that you don't need to use as much electricity. It is very easy to clean because it is completely made from stainless steel. You can clean it by hand, or you can pop it in the dishwasher. People have reported that it is excellent at cooking beef stews and rice, which are traditionally difficult to do. The controls are very easy to read and use. It comes with an iOS app that allows for easy recipe sharing and programming. While the price is fair, it isn't cheap. 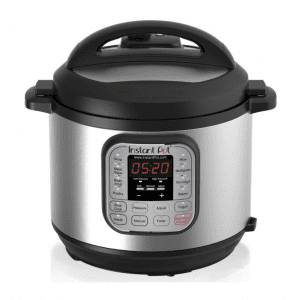 Only those who do not have any kitchen appliances yet truly save by getting the Instant Pot. If you already have a slow cooker, a rice cooker, and a pressure cooker, for instance, it may not be worth buying the Instant Pot as well. It will take you some time to figure out exactly how the Instant Pot works, which functions do what, and how you should use each. That said, most people agree that the Instant Pot is far easier to get to grips with than pressure cookers, as well as being a lot safer. There have been some horrific accidents with people burning their face with pressure cookers, for instance, and this couldn't happen with the Instant Pot. But do read all the instructions and manuals before you use it. The PSI of the pressure cooker is lower than expected. Stove cookers usually have around 15 PSI, whereas this one has only between 10 and 12 PSI. This can also work as an advantage because it means that it is more energy efficient, although it also makes it slightly slower than other cookers. That said, the difference on a standard recipe will be no more than five to 10 minutes. Safety is an issue. 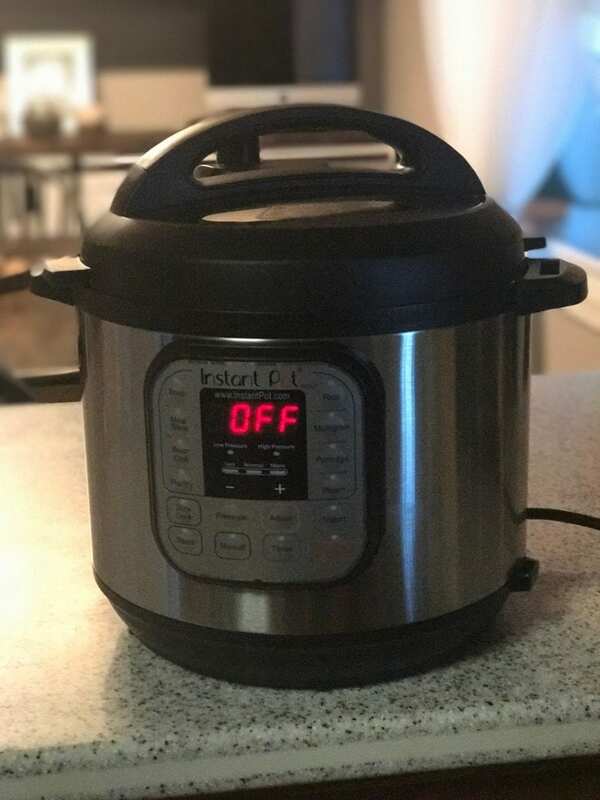 The Instant Pot is a whole lot safer than any other pressure cooker out there, but it does cook under pressure and this means that, if misused, it can lead to hot steam escaping and causing burns. That said, there have been no reports of anyone sustaining injuries after using it, although it is still important to be aware of this. This is particularly true in households with children. Some people have reported that it takes a long time for the pressure to be released naturally. There is currently no Android app, although the manufacturers have stated they aim to develop one. Overall, the Instant Pot is a fantastic kitchen appliance that has a place in everybody's kitchen. It takes some time getting used to it, but the same is true for any appliance. It is true that it is not the cheapest appliance in the world, but considering that it is actually a seven in one appliance, you do save money overall – if you were to buy all seven of the appliances individually, that is. It even makes yogurt, and anyone who has ever made their own yogurt knows how much tastier that is than any yogurt you can buy in stores. 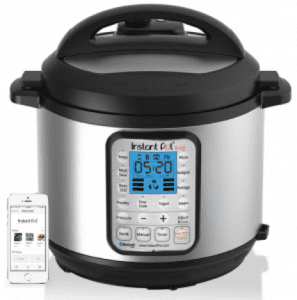 The latest model of the Instant Pot is even Bluetooth enabled, which makes it a smart appliance. It links to the iOS app (no Android app is available just yet), where you can share recipes with others, read theirs, and have a range of programmable functions to choose from. 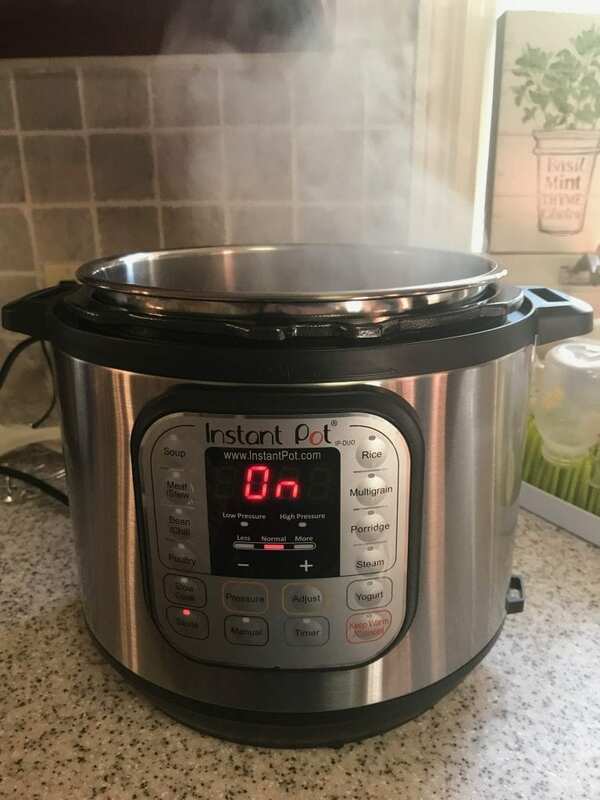 Since we are moving into an era of smart homes, the latest Instant Pot is clearly ready for that. If you enjoy cooking with fresh, natural, wholesome ingredients, and you don't want to be tied to one type of cooking only, then the Instant Pot is for you. It is quick and efficient, and it creates succulent food. 100% recommend! As with any kitchen appliance, there are multiple options that can be considered. We've researched and found a couple alternatives if the Instant Pot doesn't meet your needs, or if you just want to be more educated on the features and functionality of competitive pressure cookers.